The capital city of Japan is a city of contrasts. A place where old meets new in both style and architecture. Where high tech modern skyscrapers intertwine with nature and manicured gardens. Where the ancient traditions, shrines and temples meet neon lights, new trends and bizarre culture. 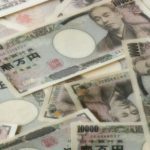 Tokyo is not just a big city, it is many cities within one big city and each different ‘city’ has something different to offer. From the business district of Tokyo city itself with the emperor’s palace, to the eateries and entertainment district in Shinjuku, the fashion and shopping in Ginza and Shibuya, the dramatic contradictions of Harajuku and Meiji-jingu shrine – just a train line separating the two – and the dizzying lights of Electric-land, Akihabara to name a few, every day can provide a new experience. Many a day trip can be started from Tokyo with areas such as Nikko, Kamakura, Yokohama and Tokyo Disney Resort within easy access. 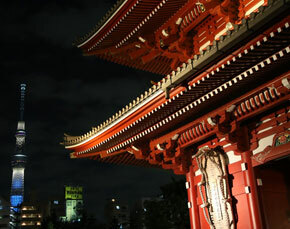 Tokyo is usually the first port of call for visitors to Japan. You may be overawed by the size of the place and the number of people and you will definitely be amazed by the efficiency of the train network in the city. You could easily get lost in Tokyo, in mind, body and spirit, but there is always a friendly local to help guide you on your way. Kyoto was once the imperial capital of Japan with the emperor residing here for over a thousand years until 1868. 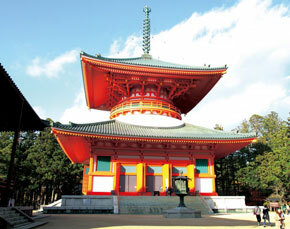 It has over 2,000 temples and shrines, many of which were built hundreds of years ago. Kyoto is filled with beautiful architecture both ancient and modern and numerous gardens to explore. Some of the main attractions include Nijo Castle, Kinkakuji, Ginjakuji, Kiyomizu temple, the Kyoto Imperial Palace and Japan’s most famous geisha district, Gion. 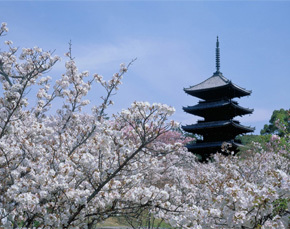 Both the cherry blossoms and the coloured autumn leaves are major tourist attraction in this region and there are many festivals throughout the year, particularly during the summer. Kyoto is an ideal city to explore by bicycle, or you can venture on foot and discover the hidden shrines along the Philosopher’s Path. Kyoto is sure to draw you back time and time again. The modern day city of Osaka is Japan’s third largest city. Established as a major industrial and cultural centre in 1889, it is also home to one of Japan’s most famous castles, Osaka Castle, which was originally built in 1593. Osaka has excellent shopping areas such as Hankyu Sambangai, Den-Den town and the exciting nightlife of Umeda underground arcade. Osaka is known for its food and you should not miss the opportunity to try the okonomiyaki and takoyaki. Dotonbori is the main destination for food travel in Osaka. It is also famous for its bright neon signs and is a must see spot at night. Shitennoji is Japan’s oldest officially administered temple and located next to Shitennoji park. Both great places to start out your day of sightseeing. Sumiyoshi grand shrine has a purely unique Japanese style of architecture and was built in the 3rd century. The location provides a feeling of serenity and is not to be missed. 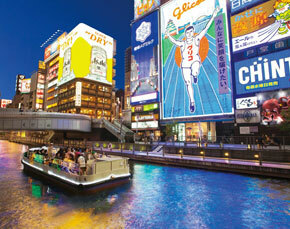 Osaka is a great place to stay while enjoying the many surrounding areas on various day trips. 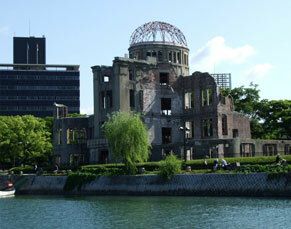 Hiroshima, the symbol of world peace, is a former castle town that is known for being the site where the Atomic bomb was dropped during WW2. Visit the historically important A-Bomb dome, left as it was in 1945, contemplate in the heart-wrenching Peace Memorial Museum and venture through the Peace Memorial Park. A visit to Hiroshima would not be complete without a visit to the rebuilt Hiroshima Castle and a taste of the local okonomiyaki. 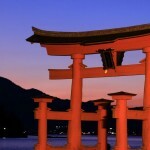 While in Hiroshima, take a day trip to one of Japan’s ‘Three Most Scenic Views’ – Miyajima. 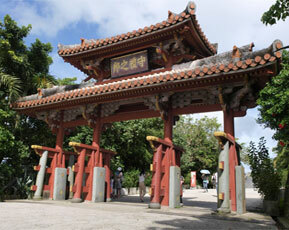 Here you will find the magnificent red torii gate welcoming you to the ‘abode of the gods’. You can walk the top of Mt Misen, or take the ropeway, and be mesmerised by the view of the surrounding islands. You might have an opportunity of seeing a shy monkey at the top. The venture down the mountain is full of natural wonders and shrines. Itsukushima shrine seemingly floats in the sea during high tide. It is a beautiful, harmonious mixture of the shrines red with the blue of the ocean and the green of the forest. Takayama is a tranquil old castle town and has retained a traditional atmosphere unlike many other Japanese cities, especially in the beautifully preserved ‘old town’. The Historic District served as a bustling merchant town in the past and it is distinguishable by the distinctive, old architecture. Many old homes, shops and sake breweries exist today, some of which have been in business for centuries. One of the main attractions, Takayama Jinya provides an extraordinary glimpse of government process and Japan’s feudal past in the 1800’s. The mountainous surrounds of the city provides the perfect location to soak in hot spring baths (onsen), after a long day of sightseeing. A short bus ride from Takayama is Shirakawago, a World Heritage designation and truly a spectacular experience. Visiting Shirakawago is like stepping back in time, with uniquely crafted traditional wooden and thatched roof farmhouses (Gassho-Zukuri) set in a beautiful mountainous landscape. Perfect for a day trip from Takayama or a side-trip on route to Kanazawa. 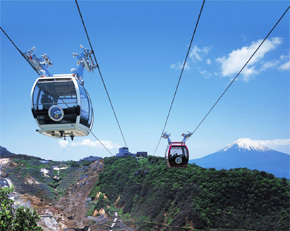 Hakone is known worldwide for its hot springs and for its spectacular view of Mt Fuji. Located about 90 minutes from Tokyo’s Shinjuku station, Hakone is conveniently located for a day trip but if you want to truly experience the nature and hot springs in the area, spend a night or two in a traditional onsen ryokan. The Hakone Free-pass is a discount travel pass that you can use to navigate your way around the Hakone region. The Free-pass includes the return trip between Hakone and Shinjuku, it lets you hop on and off as often as you like in the Hakone area. You are free to take the trains and buses, and the cable car and sightseeing cruise, allowing you to thoroughly explore Hakone. Take a cruise on a pirate ship in Lake Ashi, formed in the crater of the Hakone volcano, visit museums, historical sites and temples and eat black eggs (a local specialty of eggs hard-boiled in the hot springs – said to add 7 years to your life). 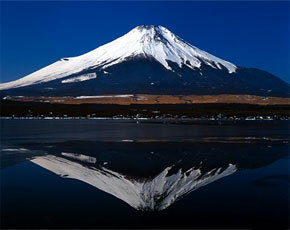 Rising to 3,776 metres, Mt Fuji is the national symbol of Japan. 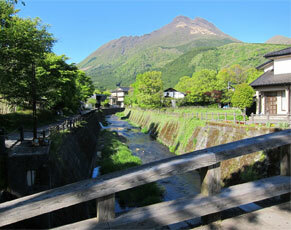 The near perfectly shaped mountain is Japan’s tallest and is worshipped as a sacred mountain. Visible from vast distances and beautiful from every angle, Fuji-san is the subject of countless works of art. If you are lucky enough to visit Fuji during July or August, you will be able to climb to the peak during the official climbing season. You don’t have to be a climber to get to the top, however it can be an arduous task, and oxygen is available for purchase at the 5th station from where you begin the climb. Many visitors climb Fuji to watch the sunrise from the top and on a clear day you can see the lakes surrounding Fuji. An overnight climb is highly recommended, but rug up. Even when it’s 35 degrees in Tokyo, it will be below zero on Mt Fuji’s peak! For those who don’t want to climb, there are so many beautiful areas at the base around Mt Fuji. In ancient times, lava flows dammed up the rivers creating five lakes. Each of the lakes has its own activities and each provides spectacular photo opportunities. Kanazawa was a great castle town ruled by an influential leader from the 17th century to the second half of the 19th century. The city has maintained rows of historical houses and various traditional handicrafts and traditional performing arts. Kanazawa is home to the Kenroku-en Garden, which is regarded as one of the three most beautiful gardens in Japan. It is also a unique experience to take a stroll through the Nagamachi Samurai house district of the city. Higashi Chayagai is the old tea district. Lined with wooden geisha houses, some open to the public. Nearby, Teramachi is an area containing about 70 temples, one of which is known as Ninja Temple, called because of its passageways, trapdoors and other secret devices to keep intruders out. After a day of sightseeing, drop in to Omicho, a local market lined with shops where you can buy some fresh sushi. Nagano is located near the centre of Japan and is surrounded by mountains 3000 metres tall. As such, it is home to world class snow resorts such as Hakuba, Shiga-kogen and Nozawa Onsen. Nagano is also a convenient location to take in the breathtaking sightseeing features like the Tateyama-Kurobe Alpine Route, Kamikochi and Takayama (by bus). Nagano is also home to some of the most famous tourist spots in Japan. Take a trip back in time as you visit Matsumoto castle – the oldest 5 storied wooden castle in japan, stroll around smallest town in Nagano, Obuse, and enjoy local arts and crafts, or walk along the historical Nakasendo Road between Tsumago post town and Magome. 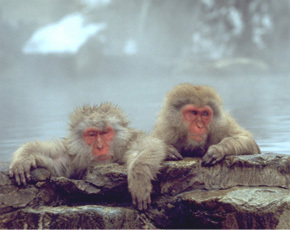 Why not take a break from the slopes during winter and visit the snow monkeys at Jigokudani Wild Monkey Park. Whether you are staying for a few weeks or a few days, Nagano has something for all seasons. Okayama city developed as a castle town during the Edo period (1603 – 1867). 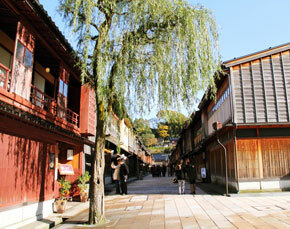 In Okayama Prefecture, you can enjoy Okayama-specific historical and cultural facilities. Visit the famous Okayama Korakuen Garden, ranked as one of the 3 best landscapes in Japan. If you are interested in pottery or Japanese swords, visit Inbe, a Bizen Pottery making town, and then explore the sword museum at Bizen Osafune, which is more a village than a museum. 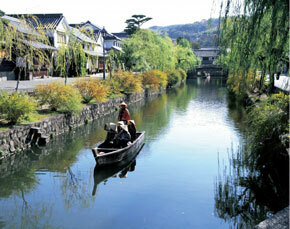 In the west is the city of Kurashiki, famous for its traditional white-walled houses. The cityscape here has retained the same features for 300 years. Okayama is also home to the famous Okayama castle, known as the Crow Castle due to its black exterior and also Takahashi Castle (or Bitchu Matsuyama Castle) which is one of 12 remaining original castles in Japan. Okayama is the gateway to the islands of the Seto Inland Sea and Shikoku. Shimane Prefecture is situated in the northern region of Western Japan, facing the Sea of Japan. Shimane’s history dates back to Japanese mythology and folklore and the traditions and culture of times gone by are still alive today. Izumo, in the east, is known as the birthplace of Japan. It is the province of the gods who hold their annual meetings at Izumo Taisha grand shrine. Matsue is a samurai city and is the capital of Shimane. Matsue Castle is an original structure built in 1611 and contains an impressive array of original samurai swords and armour. The Horikawa sightseeing boat takes you for a leisurely cruise around the moat, or venture and discover the canals around the town. Undoubtedly, one of the most beautiful gardens in Japan belongs to the Adachi Museum of Art. There are six gardens in total and the changing seasons provide amazing views from the windows of the museum. Wakayama prefecture is located south of Osaka and Kyoto and is the largest peninsula in Japan. Wakayama is a mountainous region on the interior with a rocky coastline. The JR train takes you around the coast providing an exhilarating view as you venture from stunning white sandy beaches to amazing rock formations to pristine oceans full of tropical fish. The peninsula is rich in history with Japan’s spiritual heartland in the hills of the ancient Kumano region. 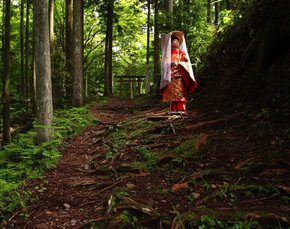 The abode of the gods is where you will find the spiritual pilgrimage route of the Kumano Kodo. You can walk for days along the tracks, or a few hours, taking in panoramic views, the three grand shrines of Kumano – Kumano Hongu Taisha, Kumano Nachi Taisha and Kumano Hayatama Taisha, soak in a 1,800 year old hot spring at Yunomine Onsen and marvel at the stunning views of Japan’s tallest waterfall – Nachi falls. Another top destination for domestic tourists is Mt Koya (Koya-san). Koyasan is one of Japan’s greatest treasures. This UNESCO World Heritage listed site is home to an active monastic centre founded over 1,200 years ago. The peak of My Koya hosts a secluded complex of over 100 temples, pagodas and Buddhist sanctuaries. Surrounding the temple complex is a thick forest of tall and majestic cedar trees hundreds of years old. The holiest place in Koyasan, Okuno-in, houses over 200,000 tombstones (including those of the 47 ronin) which can be viewed via a 2 kilometre trail from Ichi-no-hashi leading to the mausoleum of Kobo Daishi, the founder of Shingon Buddhism practiced in Koya. Mt Koya is close enough and convenient enough to be taken as a day trip from Osaka, however Koyasan is also one of the best places to experience an overnight stay at a Buddhist temple lodging (known as shukubo) where you can get a taste of a monk’s lifestyle, eating vegetarian monk’s cuisine (shojin ryori) and attending the morning prayers. Around fifty temples offer this service to both pilgrims and visitors. 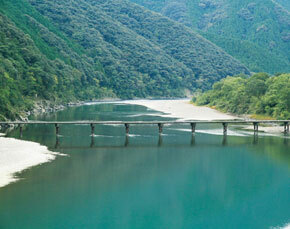 Kyushu is Japan’s third largest island and is famous for its lush green mountainous landscape. Being rich in nature, Kyushu is famous for its delicious foods and relaxing onsen hot spas. Although a small island, the variety of things to see and do in Kyushu will keep you busy. Nagasaki is where the first European influence arrived into Japan. In fact, during Japan’s period of isolation, Nagasaki was the only place in Japan which was open for communication between Japan and the outside world. Kumamoto is the home of one of the largest volcanoes in the world, Mt Aso. It also has a feudal past which resulted in the construction of Kumamoto Castle, considered impregnable at the time. The most famous sword master in the world, Musashi, spent his last days in the Kumamoto region. If you love volcanoes, you can take a tour of Sakurajima in Kagoshima prefecture. Visit the ancient lava flows and get a close-up view of an active volcano. On the east coast of Kyushu lies some of the best hot springs in Japan. 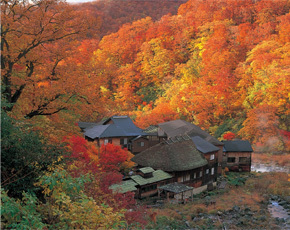 The Yufuin area is popular for those wanting to escape the crowds and offers small and unusual, traditional hot springs. Shikoku is the home of the 88 temple pilgrimage which is a 1450km religious journey to all temples on the island as well as other sacred sites. Walking the entire route once took 40 – 50 days, but today, pilgrims can use more convenient transport while enjoying the beautiful scenery that Shikoku has to offer. If cycling is your thing, a ride over the 70km of bridges spanning the 6 islands between the main islands of Honshu and Shikoku (Shimanami Kaido) is a convenient and pleasant way of taking in the scenery. Stop off at the islands as you pass and try the local citrus and the freshly caught seafood. 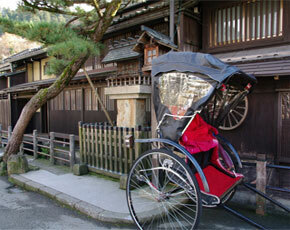 There is an abundance of natural spots, scenic and historic places and traditions in Shikoku. From the castles, the beautiful Japanese gardens, the contemporary art galleries of Naoshima, to the world’s most powerful tidal current creating the Naruto whirlpools, this is an island to take in slowly. Complete your journey at one of Japan’s oldest onsens – Dogo Hot Spring. Tohoku is the region in the northern part of Japan’s main island Honshu. It consists of the prefectures of Akita, Aomori, Fukushima, Iwate, Miyagi and Yamagata. It is a mountainous region providing an ideal selection of ski fields and hot springs. The region is blessed with amazing natural features such as Matsushima bay, one of Japan’s 3 most scenic views, the spectacular gorges of Geibikei and Gembikei, the lakes of Tazawa, Towada and the Okama crater lake on Mt Zao. Mt Zao is also the home of the snow monsters and is a high class ski resort. Shirakami Sanchi is a Japanese beech forest – Japan’s first natural World Heritage listed site. For one of the best places to see cherry blossoms in Japan, you can’t miss Hirosaki. The former castle town, home of the Tsugaru Shamisen, has over 2600 cherry trees in the castle park’s grounds. 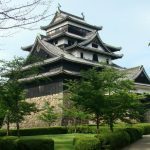 There is also a strong feudal history in Tohoku which prominent statues and structures built in Sendai, the Aizu-Wakamatsu castle and samurai village in Aizu as well as samurai housing in Kakunodate and Yonezawa. There are also many onsen hot springs in the Tohoku region with some of the most spectacular being in the Oga peninsula, Oirase, Nyuto and Ginzan. Hokkaido is Japan’s northern-most island. The nature of Hokkaido has many different faces depending on the place and the season. During summertime, you can enjoy beautiful flora, or go trekking to the mountains and enjoy alpine plants only seen in Hokkaido. During wintertime, the excellent powder snow provides skiers and snowboarders with some of the best conditions in the world. 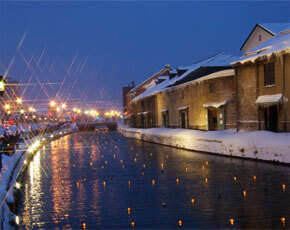 Winter is also the time to visit the Sapporo Snow Festival, one of Japan’s most popular winter events. The Ainu people are the indigenous people of Hokkaido and you can explore the history and culture of these people at the Ainu museum at Shiraoi. Hokkaido is known for its magnificent natural assets. Explore Daisetsuzan National Park, which forms the roof of Hokkaido; the secluded Shiretoko Peninsula; Kushiro wetland, home to many precious animals and birds such as Japanese cranes; Shikotsu-Toya National Park, which is full of volcanoes and lakes; and the ever-changing Shakotan Coast. Okinawa is the perfect location to unwind, with its sub-tropical climate, un-spoilt white sandy beaches, crystal clear sea and some of the best diving and snorkelling in the world. Okinawa has its own unique cuisine and culture with many fascinating historical places to visit such as the two 13th century castles in Shurijo Castle and Nakijin Castle, Nakijin being the optimal place to view cherry blossoms in January and February . The southern islands of Okinawa are famous for diving with manta ray & hammerhead sharks and snorkelling amongst the islands extensive coral reefs, which have a wider variety of coral living together than the Great Barrier Reef. Experience the genuine blue of the Okinawan seas. From the nature-rich beach, hop on a glass-bottom boat and view the marvellous world where coral reef and colourful, tropical fish live. The islands untouched rain forests are home to many rare species and unique wildlife only found on these islands.